I would like to know if there is any way during the editing phase of a vector (line or polygon) to know the length of the line (total and partial) that is being created? I don't know of any built-in tools that track the length of lines as you are editing. Open the Layer's Attribute Table. Create a new field, name it something like "Length", set the type to decimal width 18, precision 10, or whatever level works for you. In the Function List, Click on Geometry, and double-click on $length to add it to the Expression box. 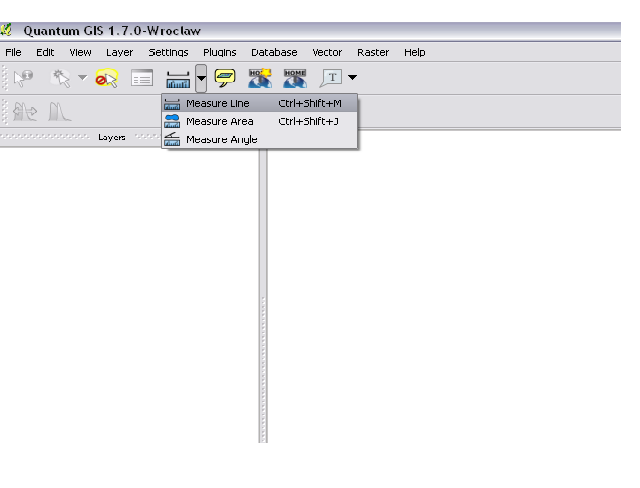 Click OK and qGIS will calculate the current line length for all features. (Or only selected features, if you check that box). This will give you the length of the line as it is in your current edit session. Warning: The value of the field will not update live. So, if you undo your edits, or make additional edits, the Length value will be wrong. If you keep the attribute table window open while editing, you can recalculate the column whenever you want. You could also just run code in the python console to recalculate the attribute values whenever you want to update them. I was hoping to find some python code for qGIS to do this faster than the Attribute Table window UI, but couldn't find any. So I dug a bit and figured out one way to do it. A script I came up with using this tutorial and the Developer Cookbook is below. I assumes that you are currently in an Editing session with the polyline layer you are editing (and want the lengths for) selected. No features are selected. There is one option available in the Attribute toolbar (named measure line). I hope with that you can get what you want. You can determine the length of a line/segment with the Improved Polygon Capturing plugin. Not the answer you're looking for? Browse other questions tagged qgis polyline-creation polygon-creation length or ask your own question.